Unlike many cultures in the Western world, Japan is completely unaccepting of tattoos and body art within their country. Tattoos in Japan are heavily denounced and even the smallest amount of ink on one’s skin has people assuming a criminal nature. This is because of the deep rooted association with the “yakuza” which is a mafia-style organisation in the criminal underworld of Japan. 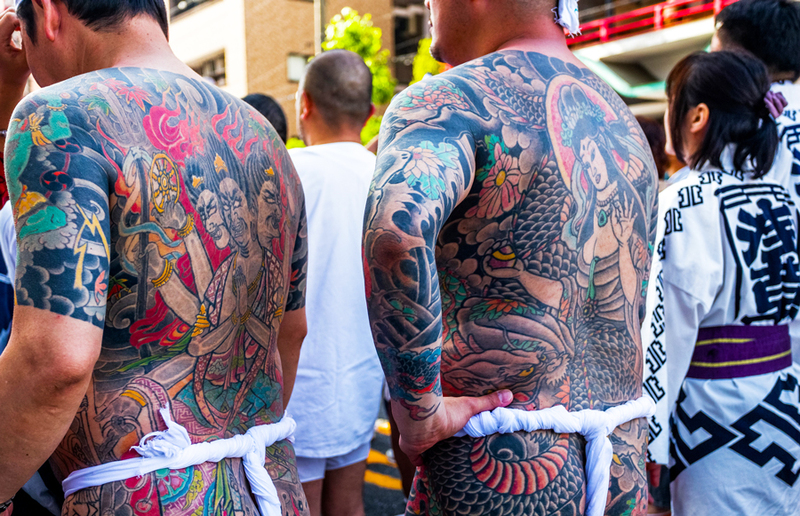 The yakuza is the only group in Japan that openly embraces tattoos, with traditional back-covering pieces or half to full length arm-sleeves being common in the organisation. Despite the negative stigmatisation disappearing in most western countries, due to the rising number of people having tattoos, in Japan a negative association is still very much the view of wider society. The popularity of Japanese art and imagery among tattoo artists and enthusiasts, especially in the UK and USA, seems disjointed to the view of the nationals and cultural history. Common designs chosen for Western tattoos include Japanese dragons, koi fish and kanji symbols. Even the most beautiful piece of body art done by the most talented artist will still result in disapproving looks and negative comments in Japan. Not only that, but even the smallest, most insignificant tattoo will get you thrown out or prohibited from entering certain public places. The majority of public activities that involve the removal of clothing such as the traditional hot spring baths or communal swimming pools will refuse entry to anyone with a tattoo. There are prominent, clearly labelled signs that state anyone with “irezumi”, the Japanese word for tattoo, are banned from entry. However if you have a much larger tattoo or one that is easily visible such as a piece on your neck or hand, it is not unheard of to be asked to leave establishments including restaurants or shops. Don’t think you can get away with it just because you’re clearly recognised as a foreigner. These rules will still apply to any tourists or travellers visiting the facility. You probably won’t be asked to leave places that attract tourists, but public swimming pools and hot springs will definitely apply the same rules to you as to their own community. Probably one of the most sought after Japanese tattoo artists in the world is Horiyoshi III. He is recognized for his stunning, intricate full-body ‘suits’ that can take many years to complete. These are the kind of traditional Japanese tattoos that are synonymous with the yakuza — the Japanese mafia, or criminal underworld. This isn’t the glamorous, or honorific lifestyle that is sometimes portrayed, the yakuza are involved in everything from drug sales, prostitution, and gambling, all the way up to crime in the white-collar world, like loan-sharking and personal or political blackmail. Horiyoshi III openly admits that he used to be involved in the criminal lifestyle, although he gave it up long ago to focus on his craft. He hopes that one day his work can contribute to a change in the perception of tattoos for Japanese people, and bring an end to what is sometimes seen as discrimination against people with tattoos. He explains the negative stigma in a simple way: People see tattoos and that equals yakuza, yakuza means criminal. This has led to a new campaign by the mayor of Osaka to ensure the trust of the local people in their government by asking all employees to log and describe their tattoos on record. It was considered that those who admitted to having tattoos, whether they were easily covered during working hours or not, would be transferred to positions out of the public eye, or worse, even terminated. Those who refused to take the survey were told that their pay would be cut and also threatened with possible termination. This kind of deep-seated aversion to tattoos has been passed on through generations. 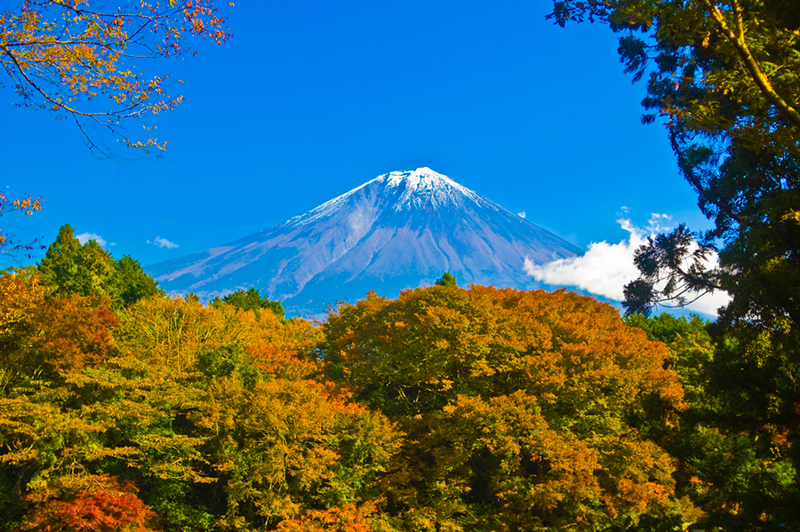 It is now culturally ingrained into the Japanese people’s judgement and perception. Despite the majority of Western cultures now freely accepting tattoos and body modifications such as piercings it is not a global phenomenon. When one culture gradually finds something more acceptable over time, it isn’t always the same for another. About The Author of “Why Tattoos are Taboo in Japan”: Sian Morgan is a freelance writer and journalist who currently resides in the United Kingdom. She has written numerous guest posts on behalf of Barber DTS who provide tattoo studios with a variety of supplies including Tattoo Ink, Tattoo Machines and Studio Supplies. Do you know anyone with a Japanese style tattoo?